If you have any questions regarding Education Rights, DCFS, Juvenile Defense or Criminal Defense, please contact us for a FREE CONSULTATION. Steven will aggressively defend you or your loved one against any CRIMINAL CHARGE. He has over 25 years of experience in criminal/juvenile law, having handled almost every type of criminal charge. 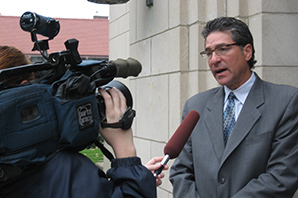 Steven has tried hundreds of cases and has represented clients in over 26 different counties all over Illinois. Steven is also a skilled negotiator and can help you obtain a very favorable plea agreement if that is what you desire. Steven understands the importance of client communication and is never too busy to speak with you about your case. In all cases, Steven will fight very hard for you to ensure that you receive all of the benefits of the law to which you are entitled. If you need an effective Attorney, please contact us for a FREE CONSULTATION.